For many people, finding lofts in Dallas Tx or getting an apartment of their own represents acquiring the independence they always wanted. With this newfound freedom many make the decision to get a new pet. A lot of people don’t realize that moving to a new place is hassle enough, but finding one that accepts pets is even harder. The first thing you will encounter is rejection; don’t think its personal, you have to understand many housing communities and neighborhoods reject pets. Not everyone is an animal lover, or they may have had unpleasant experiences with irresponsible pet owners in the past. As people we must respect their decisions and understand the reasoning behind it. Here is some advice on how to get you started on a successful search for an animal-friendly apartment. 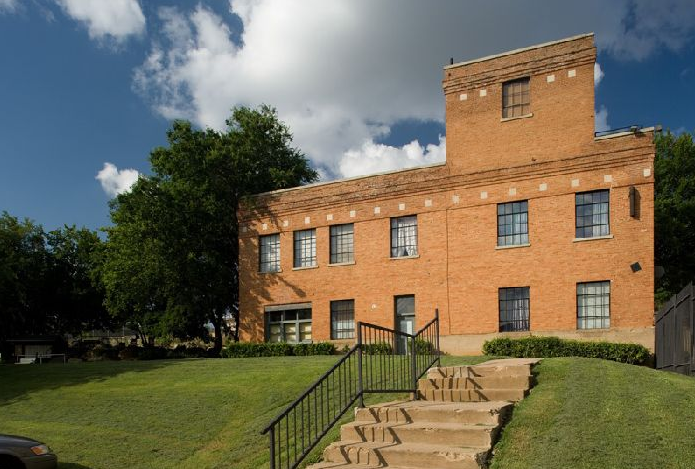 In Dallas there are numerous areas that are pet friendly, from Deep Ellum, Downtown Dallas and the Design District. However every place promoted as “pet-friendly” can be different. Each area has their own rules with certain restrictions and requirements, that may be beneficial or not to your necessities. Make sure to investigate what “dos” and “don’ts” are enforced so that there are no surprises later on. Locate apartments and lofts near parks, pet-stores and Veterinary clinics. It’s important to have options nearby for your pet to hang out, find food and find quality emergency assistance. Many buildings and communities even have services tailored especially to pets, such as dog walking and pet sitting. Contact the humane society or animal care and control agency in the area where you are moving, so they may provide you with a list of apartment communities that are pet friendly. Now a day there is plenty of online information available to assist you in finding the best areas in your location. Once you found and decided where you want to move. Don’t try to sneak your pet in. Always, be forward about your intentions. There is nothing worse than an angry landlord; rightfully he could kick you out and in the worst-case take legal action. Make it clear to the landlord, manager, or condominium board that you keep your pet inside and under control at all times and that you understand the health and safety benefits of doing so. If you really like a place but the landlord or residents are uncertain in letting you move in, offer to pay an extra security deposit to cover any damages your pet might make to the property, consider it an investment. Endorse yourself as the responsible pet owner you are, who is committed to providing reliable pet care and being a friendly neighbor. If you show your neighbors that you are a responsible pet owner they’ll be more open to your arrival. Let landlords and managers know that you understand that living with a pet is a privilege, not a right. Invite your future landlord, property manager and neighbors to visit you in your current home to see how clean and well behaved your pet is. Many landlords are concerned about hygiene, so be sure to let your prospective landlord know that you maintain a clean environment for your pet and home. If you want to be more detailed show proof of medical records your pet has. Once a landlord, manager, or committee accepts your request to move in with your pet, be sure to get it in writing. Having it in writing protects everyone: landlord, tenant and the pets. If your lease has a no-pets clause, verbal approval is not enough. The no-pets clause should be removed from the contract before you sign it. Be sure it has been removed from or crossed out on your landlord’s copy, too. Remember that its not just the two of you, you’ll be part of a community. Be friendly with other individuals and if they have pets of their own, be playful and treat them like you would like your pet to be treated. If your pet is anti-social try to educate your pet to behave around other people and animals. Making friends will only benefit you, and if pets socialize they will find a four-legged friend to exercise and play and pet-sit if ever needed. Remember when looking for an apartment or lofts in Dallas Tx, don’t just consider your needs, always take your pets into consideration . Whether looking for an apartment or pet friendly lofts in Dallas Tx remember to create an environment where you and your pets will be happy. No matter what kind of pet you have or thinking about getting, a little planning will help create the ideal home for you and your companion.